but it also applies to here and now. I'm never alone! Wow. Has it been a crazy week or what? I can't believe it was only last week that I was nervously preparing for the wedding (RELATED: Wedding Day: I Wear the White of His Grace) and attending the rehearsal dinner. As I shared previously, it's been a hard week because of all that change. Yet, I am finding that God has lavished his love upon me. I cannot tell you how grateful I am for all the people who have blessed me and loved me and prayed for me this week. Sunday, when I was falling apart from being lonely, God brought 3 women minister to me. I also began to notice that many repeated songs on the radio and in my surroundings were focused on the love Christ has for his children. Knowing that my heavenly daddy is right with me no matter how scared or lonely I feel, is such an encouragement in my walk of faith. Our God is not a stagnant God. He moves! Speaking of running, mine has been pretty bad this week. The fact that I heavily increased mileage last week leads me to believe that my exhaustion this week is a combo of that and all the stress from the wedding. I found myself suddenly fearful that the previous fatigue I'd had was coming back, but I was able to quickly rebuke that lie. Thanks to God's grace, I praised him for this week because its taught me to better listen to my body and take it really easy if I need to. Even if my Garmin tells me my pace is slow-- that's the hard part! 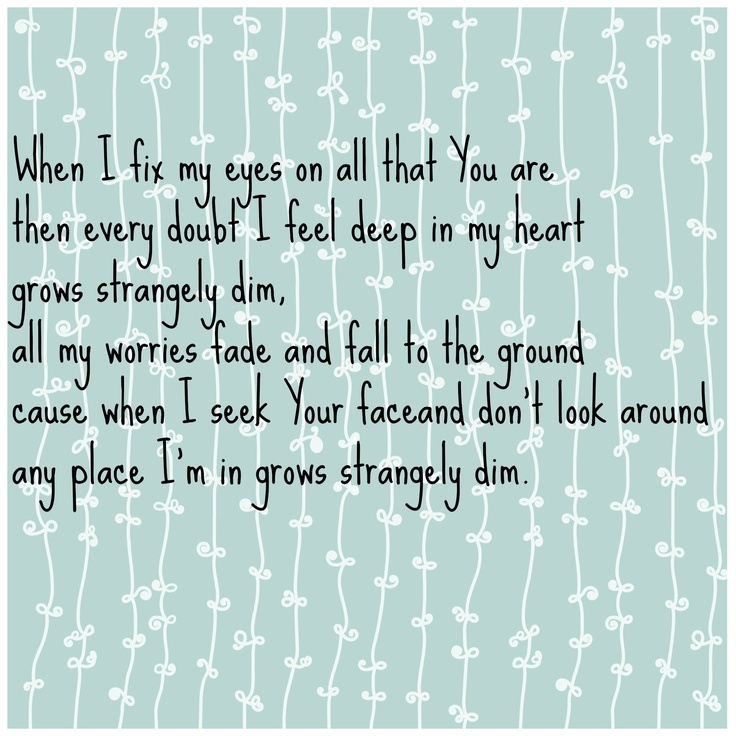 I've been loving this Francesca Battistelli song lately! All in all, it has been a very productive week. Not in the sense of life itself-- although I did get a lot done and I got a lot of packing done! It's been very productive because God has brought me closer to him through this week that I thought was going to be the end of me. Although I'm still dying to have life back in a routine with my dad back, I know that God is stretching me with all this change. He loves me enough personally take me along for the ride as he grows my faith and shows me his love. God's love. It's something I kind of take for granted, until I'm talking to myself after 8 p.m and babysitting from 11-4 most days and without my earthly father. This week has revived my knowledge of how present God is in every moment. Like I said: our God is not a stagnant God. He moves. He loves.